When Lexee’s family moved next door to an equestrian center, she knew at age 5 that she wanted to learn how to ride and care for horses. 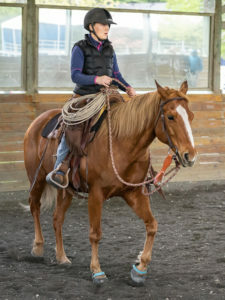 On the brink of turning 7, Lexee finally got her wish and began taking horseback riding lessons at a local riding center. 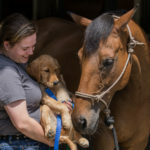 She fell head over heels in love with horses and over the next 11 years of her life, she became a farm hand, camp counselor, and trainer at the facility. Lexee first became involved with horse rescue about six years ago, when SAFE moved their operations to the farm next door to where she lived! 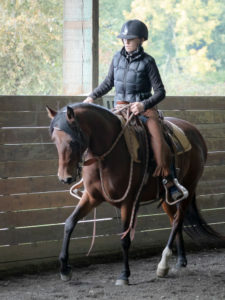 She and her mother started off as Night Check volunteers, as well as participating in Work Parties, and helping out at the barn when bad weather kept other volunteers away. When SAFE moved to Redmond, Lexee couldn’t volunteer on a weekly basis anymore but happily took over the position of Open House Manager. When the position of Weekend Barn Manager opened up, she was encouraged to apply for the position and ended up landing the job. When Lexee isn’t at SAFE, she’s working towards her bachelor’s degree in Civil and Environmental Engineering. After she graduates in 2019, her plan is to continue to get a Master’s in Structural Engineering. 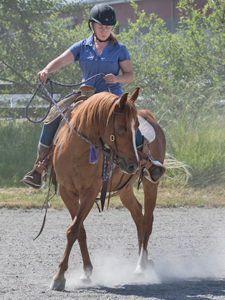 Lexee also volunteers with a local riding club where she runs horse shows and works on the facilities team where she spends a great deal of time on a big green tractor. Lexee loves the outdoors; she enjoys camping, hiking, running, and exploring local trails with her horses and dogs.